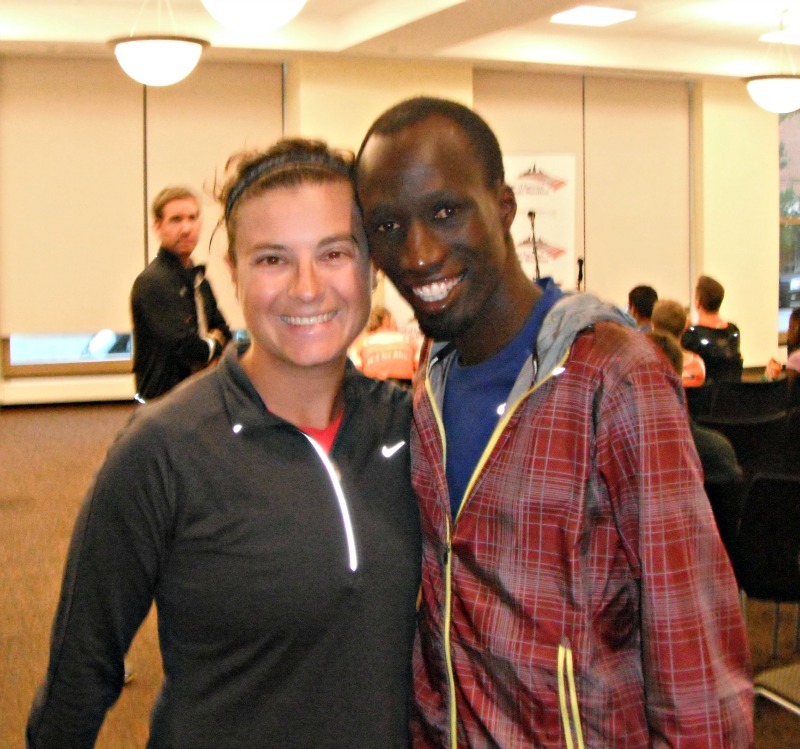 If you don't know who Wesley Korir is, you'll want to remember his name. He ran the fourth fastest time at the 2008 Chicago Marathon while starting among the open field (he had never run a marathon before and had yet to reach elite status for the distance--and he entered the race just like the rest of us, paying his way). He finished second in that same race in 2011, and also racked up two wins at the L.A. Marathon. He won the 2012 Boston Marathon, picking off runners one-by-one on Heartbreak Hill until he took the lead on the way out of Kenmore Square, lost it and then got it back in the final mile. 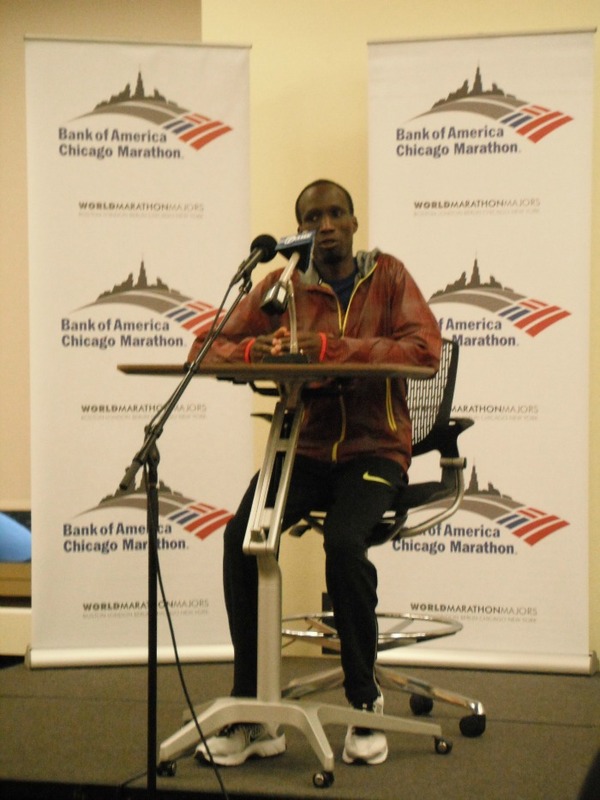 And he was the first elite runner to commit to run the 35th Bank of America Chicago Marathon on October 7, his fifth in a row. But fast running aside, Korir is simply a loveable guy. That's the easiest way to put it. He doesn't run for himself, he runs to do something better. What the heck do I mean? Ask Korir what he did with his marathon earnings. He donated them--he helped build a hospital in his Kenya hometown and he sponsored educations for more than a handful of Kenyan children. Doesn't that give you a warm fuzzy inside? Laugh all you want but I wanted to give him a big hug even before I got to meet him last night when he ran with the Team World Vision runners (sorry to those on the team who couldn't come, you missed a great speech). Then I spoke with him and I really wanted to hug him, simply for being a cool runner. And for learning that he loses toenails and eats junk food after long runs just like I do (hey, that's why I run half the time...to eat). There's more to Korir than that but you'll have to wait on that interview. It's coming though, promise. In the meantime, I'll leave you with this picture of me and the super-awesome and super-fast--um, his long run pace is at least a minute faster than my mile sprint--marathoner. We'll see you in a few weeks, Wesley!